Vrrroom! Get baby's brain going and growing with the pull & learn car Carrier! He'll be fired up to find THREE vehicles and three fun characters that fit nicely in the souped up car shaped carrier. And the pull & learn car Carrier revs him up for role-play fun. Smart part cars recognize each character when it's snapped into the driver's seat. Plus, a proximity sensor recognizes vehicles as they drive by playing fun phrases for each passing vehicle. 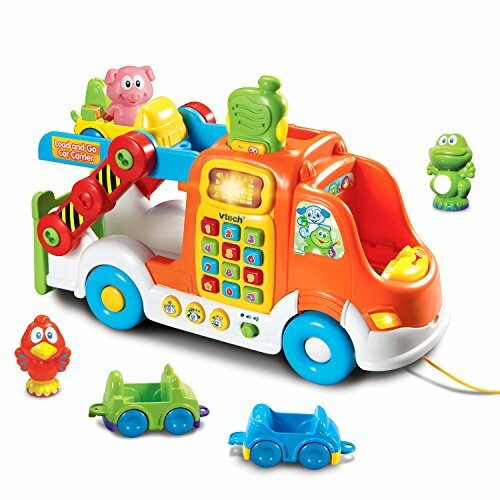 The pull & learn car Carrier drives home important lessons with its 12 button CB radio which introduces colors, numbers and musical learning. Take the pull & learn car Carrier for a spin and watch baby's learning pick up speed!. Learning is tons of fun with this VTech online exclusive drop and go dump truck. 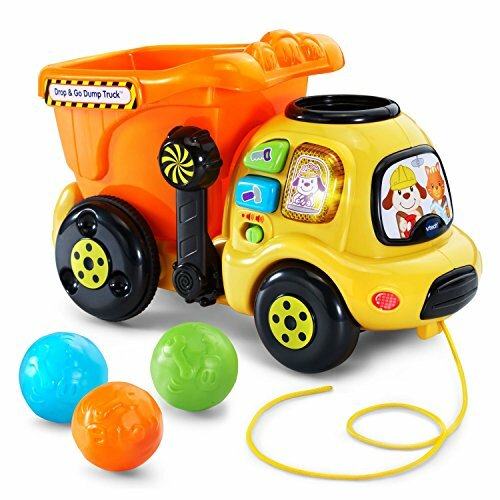 Drop a colorful rock into the top of this cute toy dump truck, and watch it tumble into the bucket. Your little one will learn numbers as the interactive truck counts each rock. Once the rocks are in the bucket, push or pull the truck along to see the rocks rumble inside. Then, lift the hinged bucket to unload the rocks and start again while developing motor skills. 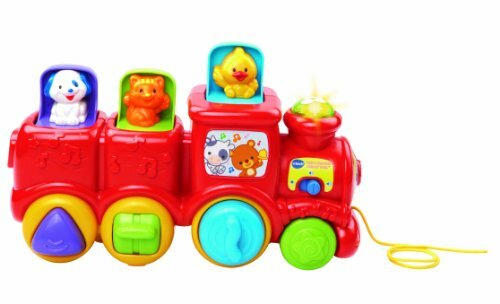 The dump truck also includes 3 colorful buttons that play melodies, phrases and teach tools and colors. Requires 2 AAA batteries (batteries included for demo purposes only; new batteries recommended for regular use). intended for ages 6 months to 3 years. Be the conductor of your own adventure with gearbox roll & roar animal train by Vetch. Next stop is a new learning milestone for your little railway rider. Let your child create their own unique train by mixing and matching the 15 included gears while strengthening their fine motor skills and problem solving techniques. Put the smart gears on the pegs to learn about animals. Press the buttons to listen to different instruments or answer kid-friendly quiz questions. Little ones can push the train or pull the string to watch the gears spin and move together. All aboard the learning express with the roll & roar animal train. Play and learn with your new puppy friend. 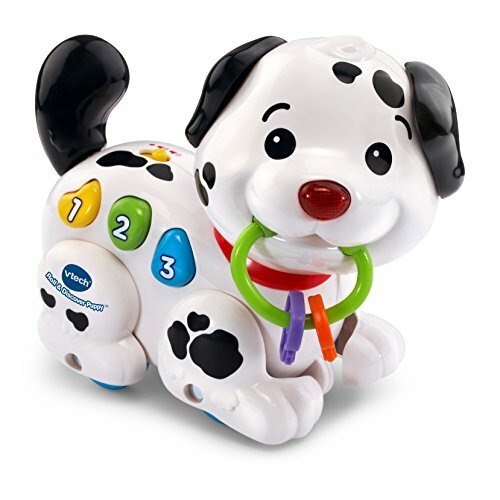 The roll & discover puppy by Vetch is a playful interactive puppy that loves to be pushed around by your little one. Push the black and white puppy to see the Puppy's legs move and watch the keys swing. Press the colorful buttons to introduce colors, numbers and parts of the body. The buttons also play songs, playful phrases, melodies and cute puppy sounds. 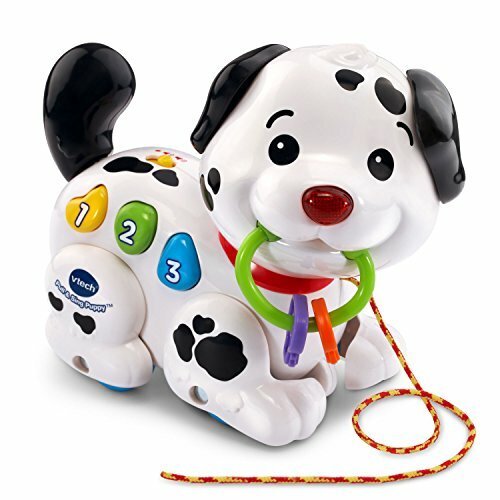 The Puppy's nose flashes along with the sounds and music plays when the puppy rolls. 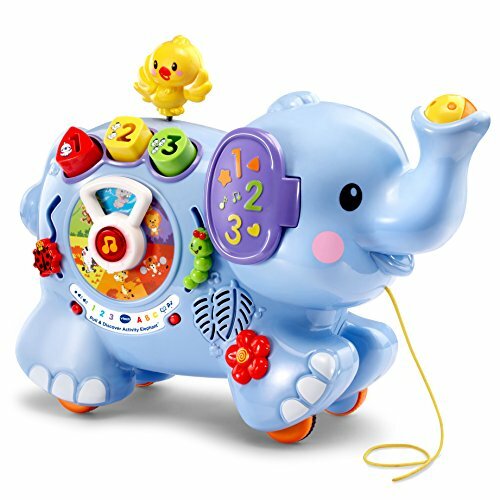 An elephant never forgets and your little one won't either when they go on new adventures with their pull & discover activity elephant by VTech! twist the dial and your little jungle Explorer will learn about the jungle friends, what sounds they make, fun phrases and music. 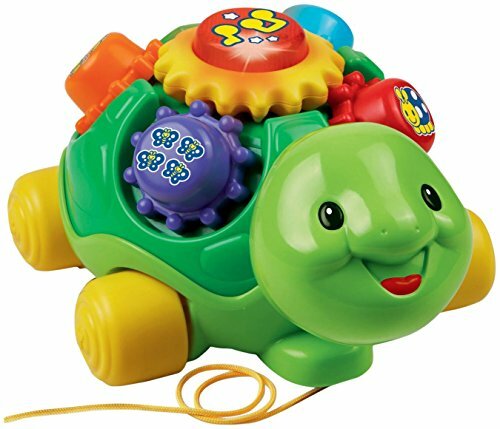 When your Explorer is feeling tame they can press light-up buttons that encourage motor skills or match the blocks with the shape sorter to discover colors, animals and shapes. 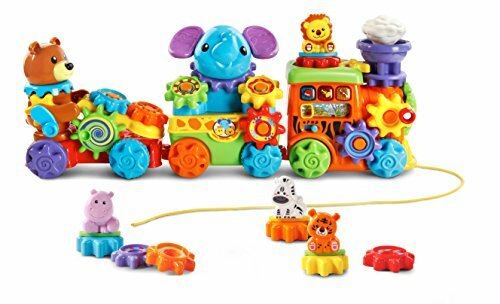 When your little adventurer is feeling a bit wild, the elephant is great on the go with a pull string that plays music and fun sounds when the elephant is pulled along. Welcome to the jungle. This purrfect Pull & Sing Kitten by VTech is a playful interactive kitty that loves to play with the big ball of yarn. As your little one pulls the string, the kitten runs to follow them and encourage imaginative play. Press the colorful buttons and this cute kitten toy will promote language development by teaching letters, colors and playing cheerful songs! 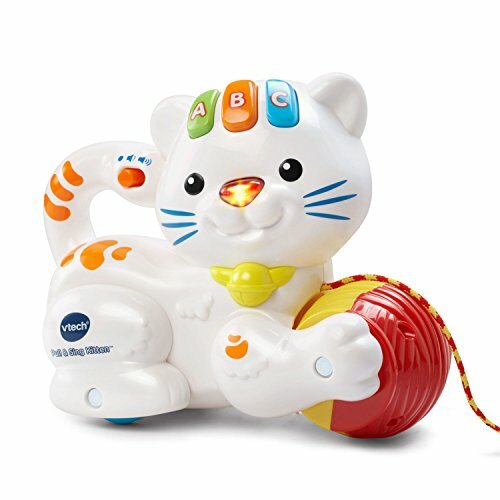 Learning's fun with the Pull & Sing Kitten, so come and play! Shopping Results for "Vtech Pull"